Rebecca Claire Miller is the wife of Sean Spicer, the man who served as the White House Press Secretary in the first six months of Donald Trump‘s administration, between 20th January and July 21st, 2017. Sean Spicer is infamous for his fiery and combatant relationship with the press during his days as press secretary. Rebecca Claire Miller, his wife is quite an accomplished woman in her own right. Find out more about this high flying professional here. Rebecca Claire Miller was born in 1971 in the city of Nashville, Tennessee. Her father’s name is Harry Miller Jnr. while her mother’s name is Sally Miller. Rebecca’s father is the president of Miller Properties, a real estate firm based in Alabama while her mother worked as a university administrator. Not much information is available about her family and her other siblings; we also do not know where she had her high school education but what we do know is that Rebecca is a well-educated individual with two college degrees to her credit. She obtained a BA in Art history and studio art from the University of the South, Sewanee, Tennessee. She also studied telecommunications at the Indiana University in Bloomington. Rebecca is a communications guru just like her husband Sean Spicer. She has gone on to have an accomplished career in the media. She started out as an intern at WSMV, a TV station in her hometown of Nashville before going on to work for several news stations as a news producer. They include KTRK-TV in Houston, Texas where she worked between 1999 and 2001. In 2001, Rebecca joined WJLA-TV, an ABC affiliate news station in the Greater Washington Area. While there, she produced the 6 pm news which received an award from the Associated Press for outstanding newscasting. It also received an Emmy nomination for its coverage of the 9/11 terror attacks. Rebecca left WJLA-TV to work for the White House between 2006 and 2007; she was an assistant communications director during the George W. H. Bush administration. In 2007, she left her White House role to work for the National Beer Wholesalers Association. 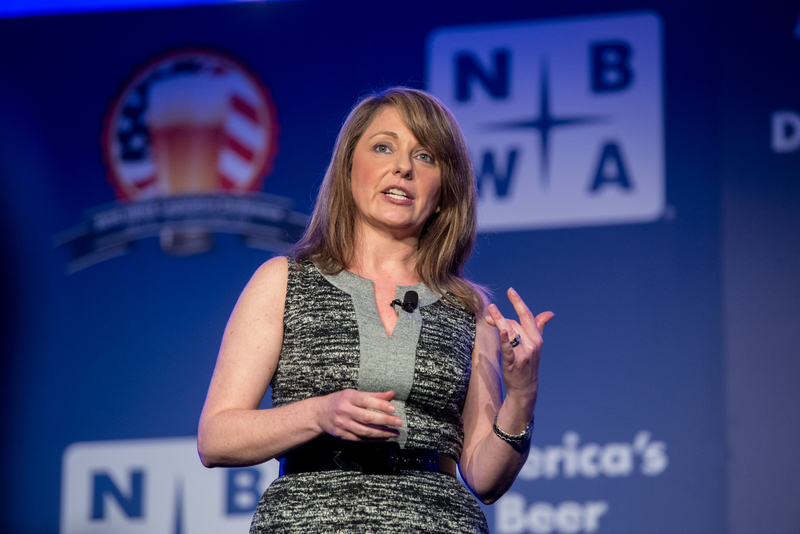 Mrs. Miller is presently the senior vice-president of communications and public relations for the organization; she is in charge of communications and public relations strategy for the association which has not less than 3,000 independent beer wholesalers as members. The accomplished woman is also the senior vice-president communications for Airlines for America, a non-profit advocacy group which collaborates with stakeholders in the aviation industry to ensure a safe, secure and healthy airline industry in the United States. She joined the organization in June 2018. Rebecca Claire Miller got married to Sean Spicer in 2004; both were 33 years of age at the time. The ceremony took place at St. Alban’s Episcopal Church in Washington and was presided over by an Episcopalian priest and a Roman Catholic priest. The Spicer’s have two children together, a boy and a girl and currently live in Alexandria, Virginia. Sean Spicer was controversial for his combative relationship with members of the press. He infamously claimed that Donald Trump’s swearing-in-ceremony had more people in attendance than any other president’s. This was despite evidence to the contrary. His antics were parodied on Saturday Night Live by popular comedy actress Melissa McCartney. He confessed that he found her portrayal funny if not a bit overdone. A simple scroll through Rebecca’s twitter page will reveal that she is a woman who is passionate about giving back to the society and helping the less privileged. She regularly posts updates about the activities of different charity organizations and calls for volunteers for one cause or the other. At present, Rebecca sits on the board of the National Council for Adoption which is a non-profit organization that has many adoption agencies as its members. It supports and promotes adoption by creating sound and ethical adoption policies as well as educating the public on adoption. They also work to place kids with loving families. Rebecca Claire Miller is also a member of the advisory board of The Salvation Army in the Washington Area. Both appointments are testaments to the fact that she is a compassionate human being.